With over 30 years experience in the design and installation of pallet racking, steel shelving, longspan shelving and mezzanine floors, our knowledge can save you time and money. In a recent, independent survey, our company was rated first class for service, value and reliability. Customer satisfaction is our number one priority. Our fitters install both skilfully and cleanly, and on time as promised. We supply all makes of pallet racking and shelving, including Link 51, Dexion, Redirack and Apex. Our storage systems include Mezzanine Floors, Two Tier Racking, Narrow Aisle, Pallet Live, Mobile, Drive In and Push Back. We can also supply secondhand pallet racking and shelving. 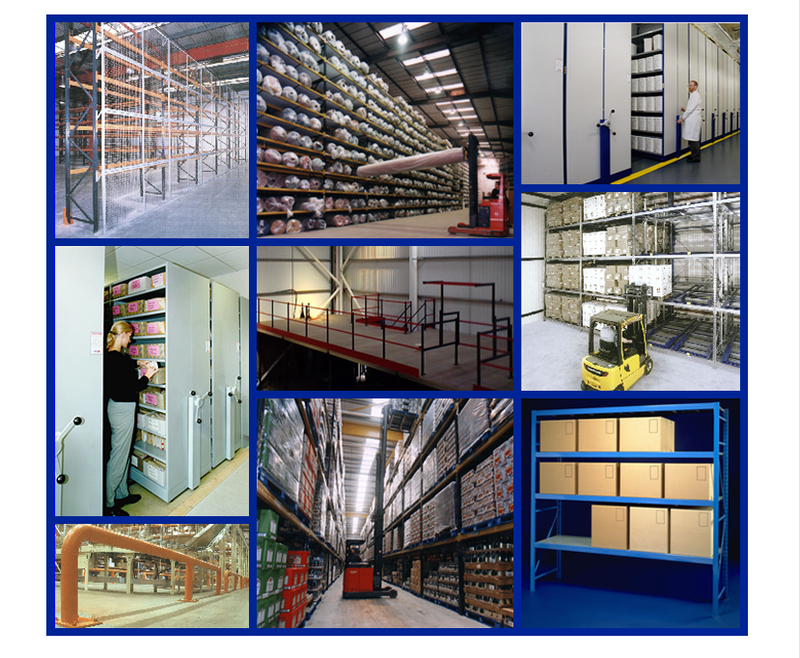 From office archive shelving, to warehouse high bay pallet racking, we can develop a successful storage strategy for your company. The correct storage solution, using the most cost effective materials. For prompt, professional advice, call John now on 01296 660222. Please take a look at our 'Examples' pages to view a small selection of completed works.